In this edition of “Inside Globant Studios”, we’ll talk with Marcelo Mariño (from our Pod Agility Team). – Tell us something about you, your family, your passions and hobbies, anything you want to share. How long have you been part of the Globant team? 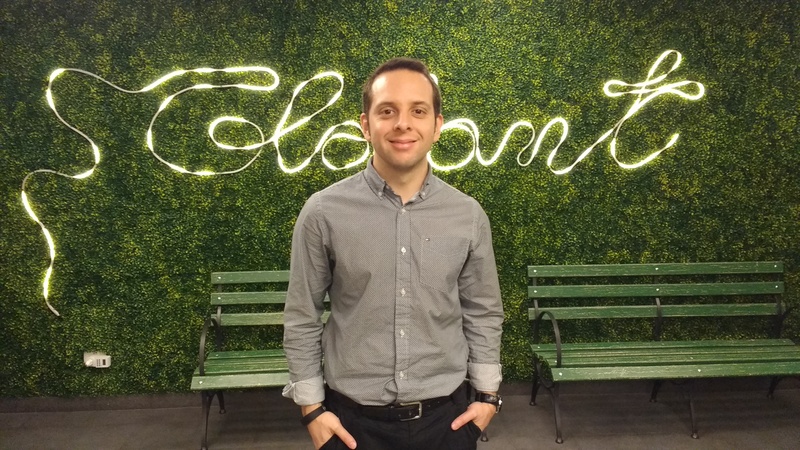 – What has your career path at Globant been like? What did you change along the way to adapt to new roles and projects? I initially joined Globant as a Project Manager. I was soon introduced to Agile and was immediately fascinated by the value it brings to clients/end users and teams, helping to build shared understanding and unlocking higher levels of collaboration. I realized how I needed to evolve from a “command-and-control” manager approach towards more of a team facilitator/coach mentality – i.e. giving the team the tools/resources and the space to step up to their own challenges and be able to resolve, learn and grow accordingly. This has helped me tremendously – professionally and personally, to see the true value of building relationships and strive for better and better communication with my clients and teams, individually and as a group. – What was the biggest challenge or most innovative project you had to face along with your team? I am definitely experiencing the most innovative challenge of my career right now! Participating in building the Agility Consultancy Services capability from scratch within such a big and important company like Globant is an exciting endeavour that we (the PODagility team) definitely embrace as a personal commitment that has gracefully monopolized all our motivation and dedication. – In what parts of your daily work do you see the “Globant culture” expressed? I can definitely say I’ve experienced most of the facets of Globant culture throughout my career in the company but if I have to highlight one that has been present with me and my team during the past few months that should definitely be INNOVATION. Our ability to adapt to new challenges and/or shape ourselves to better resolve existing ones is remarkable. Globant is the type of company where you can create your own space for experimentation, and therefore, by having the right attitude and the ability to prove your case accordingly, there are virtually no stoppers for any change initiatives, that gives us a lot of flexibility and an outstanding ability to reinvent ourselves constantly. – How did your job change in the last few years due to the rapid technological changes that come up all the time? In the space where I have typically gravitated so far – mainly operations and delivery-, technology has particularly been helpful when it comes to collaboration tools. 10 years ago, there was no way for me to effectively collaborate live with a client/team remotely, it was all based on best efforts and most of the time we would end up cooperating with poor efficiency and limited synergy instead. Although we still privilege face to face conversations nowadays – and definitely design teams with that in mind when possible, it’s still feasible to achieve a decent level of collaboration with remote teams having the right set of tools in place – i.e. live office feeds, shared dashboards, etc. and that’s an invaluable asset in today’s distributed delivery scene. Acknowledging this, PODagility is currently experimenting with more efficient ways of delivering remote workshops with the use of modern collaboration tools and related mechanisms/team dynamics.